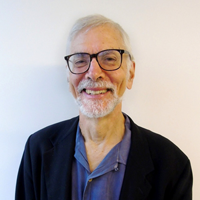 Dr. Freudenberg is a Distinguished Professor of Public Health at Hunter College and the Graduate Center and is director of the CUNY Doctor of Public Health program. For more than 20 years, he has worked with community organizations, civic groups and government agencies to develop, implement and evaluate interventions to improve the health of disadvantaged urban communities. His current research focuses on three areas: the development of multi-level policies and programs to reduce the adverse impact of incarceration on health; environmental and policy strategies to reverse current epidemics of obesity and diabetes; and the impact on population health of corporate practices in the food, alcohol, tobacco, pharmaceutical, firearms and automobile industries.